Owning a successful small business requires juggling work, employees and more. With all that goes into the daily grind, something as vague as a ‘carbon footprint’ can fall by the wayside. But more and more, savvy entrepreneurs realize the long-term benefit of these small but vital changes. Boggs Inspection Services is a Thurston county hub for commercial and residential inspection. Whether looking for a buyer or seller inspection around the sale of your home or a warranty inspection before purchasing newly built property, Dwayne Boggs and his team are at your service. They even offer water quality and pest inspection services to keep your investment safe for years to come. But such in-depth, qualitative reports are—let’s be honest—typically long and dry. According to the International Association of Certified Home Inspectors, “Generally speaking, reports should describe the major home systems, their crucial components, and their operability, especially the ones in which failure can result in dangerous or expensive-to-correct conditions. Defects should be adequately described, and the report should include recommendations.” The extensive, and useful, information included makes the report, on average, 30 to 60 pages long. Office manager Heather Rowell estimates that before these changes, each inspection client would be presented with a final inspection binder costing just over $9 to make and stuffed full of printed paper. By automating the process, the company eliminates the binders, paper and ink used, saving trees as well as $1100 to $1200 each month. Another upside of this change is that both inspection staff and clients can access these reports years later without having to locate a bulky, often misplaced folder. Commonly needed disclaimers and explanatory forms are laminated and reused as needed by the team of inspectors. Outside the office, inspectors spend a large portion of their week behind the wheel, traveling from home to home, inspection to inspection. To minimize both cost and environmental impact, the Boggs team drives six eco-friendly, hybrid Toyota Prius. “To a point, you are always looking at the bottom line,” explains Dwayne of his choice to purchase the Prius fleet. 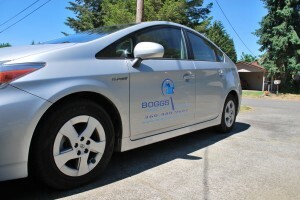 “But I also thought it would be a different vehicle than what most inspectors drive and help us stand out a little,” says Boggs. 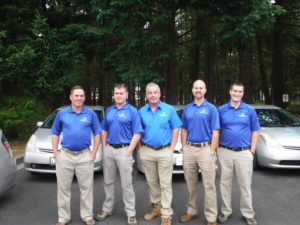 “It’s a little different to drive and some of the guys did not like the look at first but now they have come to love the cars.” The cost savings at the pump coupled with the reduction in emissions as the inspectors travel the length and breadth of Thurston County is a win-win. Turns out that mileage alone is a huge savings. Inspectors typically put 15,000 miles on their work car each year. With a range of 400 miles per tank over the typical gas engine’s 200-250, time—and money—spent at the gas station has dropped dramatically. By having each inspector drive a hybrid Toyota Prius, Dwayne is staying true his commitment to green business and keeping his fuel costs low. These changes are paying off. 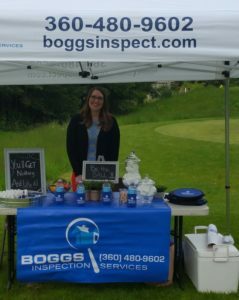 Boggs says clients and employees love the changes. And they’re not alone. In the Small Business Sustainability Report on growing green business practices, it’s reported that nearly 50% of small business owners found reducing paper or going electronic were the best bets for saving money. Moving is stressful enough, especially if it hinges on a successful home inspection. Let Dwayne Boggs and his team help you tackle simple household fixes and buy or sell knowing the property is safe for years to come. Check out suggested these routine maintenance steps to keep things worry-free year-round. 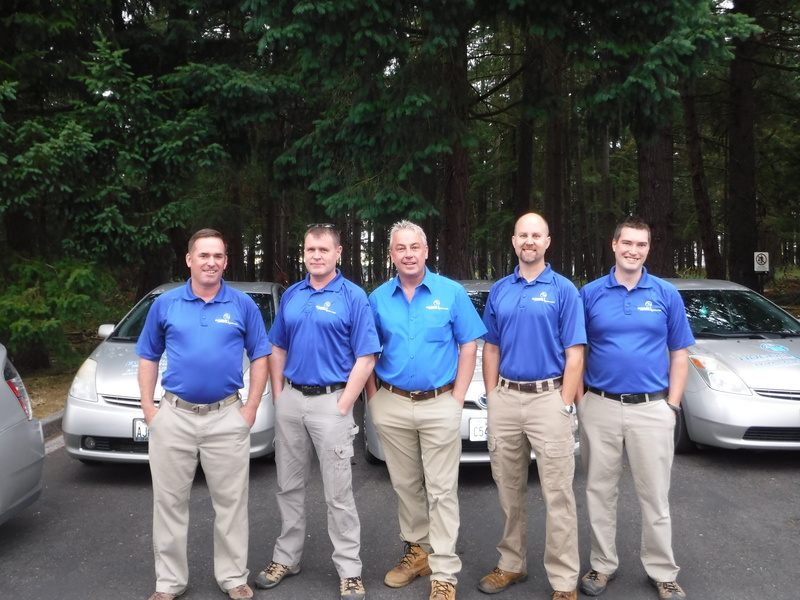 Schedule your inspection by calling 360-480-9602 or filling out their online contact sheet. Don’t be afraid to ask any and all questions, they’ve heard some horror stories over the years and can tackle it all.